want to do at the end of your day. And you’ll feel the same way if you’re getting ready for the party and don’t want to spend time just to find the right gift wrap for that present. here to make it happen. Whether it’s books, magazines, or a birthday card to go with that gift, WHSmith’s has all those little conveniences that make life easier and more enjoyable. Getting what you need is fast and simple. All you need to do is download our app and let one of our Pinga Partners know exactly what you need. In just minutes one of our local partners will confirm what you’re looking for – the latest bestselling novel, gift wrap and card, or any other items WHSmith sells. The last step is to pay for your WHSmith item using our secure app…and in just under 30 minutes your book will arrive, and you can get lost in the pages or wrap that gift and set off for the party. Pinga is all about and start using our service today. Pinga delivers any items from WHSmith today. 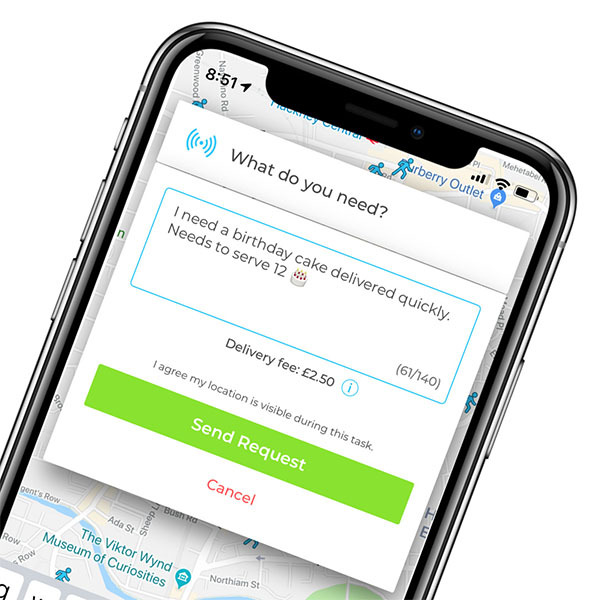 Infact our service normally delivers within an hour, so if you’re looking for same day delivers from WHSmith, send your request via the Pinga App. Describe what items you needs to be delivered from WHSmith and send your request. Pay securely within the app and receive your WHSmith items to your door!